The weather today was just perfect. Not too warm, blue sky with lots of big fluffy clouds. 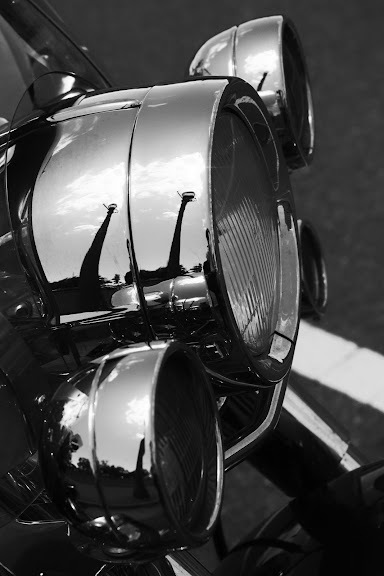 The chrome on this shined up Harley caught my eye and I captured the sky's reflection in it. Canon 40D, 1/3200 sec @ f/5.0, ISO 400 (oops - should have had this set to ISO 100 in the bright sun), 55mm focal length. Converted to black and white using Silver Efex Pro in Photoshop Elements. 170 - I wouldn't hurt a fly.